The Graham Camelback Bed offers a dramatic curve with the classic look of nailhead trim. 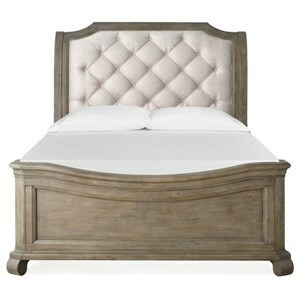 Available in select fabric options, this bed will add the look and feel of luxury to any space. Choose which nailhead trim – Brass, Antique Brass, Nickel, or Antique Nickel – you want to pop some sparkle onto the headboard of the bed. 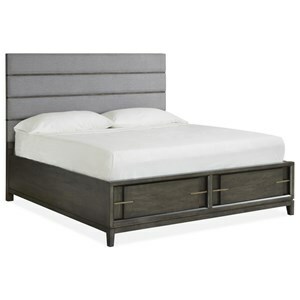 Standing on block wood feet finished in Espresso, the Graham Camelback Bed will bring any master suite a fresh mix of soft and sleek textiles with a comfy-cozy feel you’re sure to love. 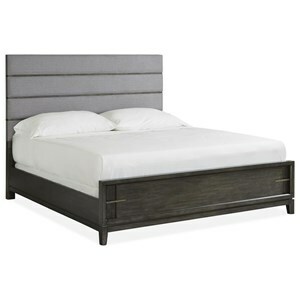 The Interiors - Beds Full Size Graham Upholstered Camelback Bed by Bernhardt at Reeds Furniture in the Los Angeles, Thousand Oaks, Simi Valley, Agoura Hills, Woodland Hills, California area. Product availability may vary. Contact us for the most current availability on this product.